When Airport Solutions Dubai returns from 8-9 October 2018 at Roda Al Bustan, Dubai, its focus will be on all things digital. The high-level airport technology event will bring together innovative products and digital disrupters to discover the airports of the future. The conference will comprise a balance of C-Level keynotes, forward thinking presentations, technical case studies and interactive panel discussions. Regional and international airport operators will investigate future opportunities that emerging technologies present the airport industry in the Middle East, in addition to predicting behaviours of the travellers of the future. 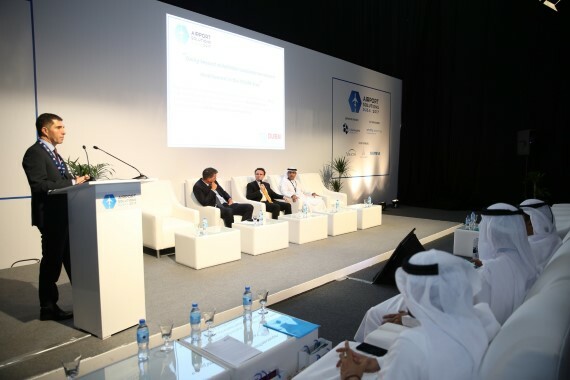 With safety and security a priority for airports globally in today’s climate, Airport Solutions Dubai will focus on the impact of digitisation; ranging from next generation travel documents and apps to the effects of document less travel, plus cyber security and the potentials and limitations of security screening automation. The conference will include announcements of new airport projects around the region and how these projects will help address the predicted surge in passenger numbers. The agenda will also investigate how airports can use individual data to personalise the passenger journey and employ predictive analytics to create smarter border controls. Other topics will include integrating augmented reality into the passenger experience, which will look at the challenges of creating a seamless experience in addition to what scale of investment will be needed from airports to allow this to happen. Airport robotics will also be assessed, in terms of both long and short term cost implications, plus where it can create true value for passengers. In addition, the programme will also provide an insight into blockchain and how the industry might expect to gain from this emerging technology, from its potential effect on seamless passenger movement to revolutionising airport logistics. Other topics on the agenda include artificial intelligence, beacons and location services, and the potential of the internet of things. The full agenda can be found on www.airportsolutions.com/dubai/conference-agenda. Airport Solutions Dubai will be co-located with Cargo Connect Dubai. To find out more about participating or to book your space, contact info@airportsolutions.com or visit www.airportsolutions.com/dubai.